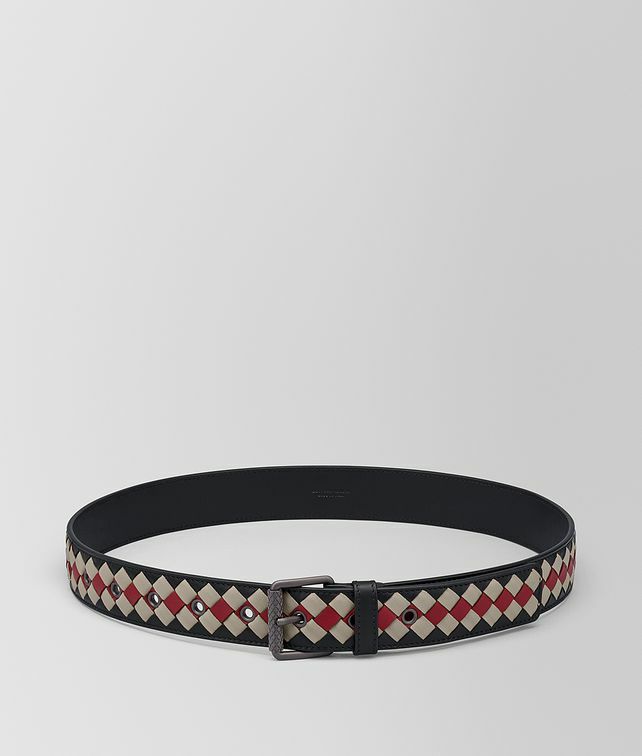 This bold belt, new for Cruise 2019, is crafted in the BV Club workmanship, which features contrasting stripes of intrecciato on a smooth nappa base. The traditional buckle is detailed with an intrecciato-engraved roller. Calfskin lining.